Date of birth : 20 mars 1773. Date of Death : 15 août 1820. 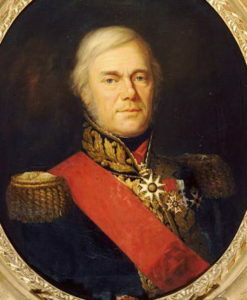 Main activity : French artillery general. 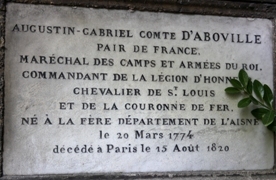 Count Augustin Gabriel d’Aboville, born March 20, 1773 in La Fere (Aisne), died August 15, 1820 in Paris, eldest son of Count Francois Marie d’Aboville, is a general of French artillery.